Are you looking to up-skill or get started into the exciting world of Hospitality and Tourism? Kickstart your Hospitality career in 2020! We are looking for outgoing and passionate people that want to be part of our Diploma of Hospitality Management - SIT50416 course. We will visit places like Burleigh Brewing, Beenleigh Rum Distillery, Stone & Wood and Husk Tour, Salumi Tour, Village Roadshow T heme Parks Tour, the Gold Coast Exhibition & Convention Centre and The Sofitel Broadbeach. By completing this Diploma you may earn 8 units of Advanced Standing which equates to one year off a three year degree. Examples of choices you will have with Southern Cross University are, Bachelor of Business in Tourism and Hospitality Management and Bachelor of Business in Convention and Events. When does this course start & how long does the course go for? 8 Reasons Why Working in Hospitality Could be Right for you! The hospitality industry is huge. The Australian hospitality industry plays a key role in helping young people move into a paid job. There are more than 850,000 hospitality jobs in Australia and the sector is expected to grow by at least 100,000 jobs in the next five years. The current coalition government is supportive of plans to help young Australians earn useful skills. A substantial investment package was announced in the 2016-17 budget. This is funding voluntary internships to enable young people to learn new skills in the hospitality industry. Many businesses in the hospitality industry have welcomed the PaTH scheme, as it will give young people the start they need to find work in hotels and restaurants. A job in the hospitality industry is often the first proper paid employment for young Australians. Many also take on casual jobs to help fund their way through university. It’s a great industry to work in and in all cities, the hospitality sector is a key part of the local economy. 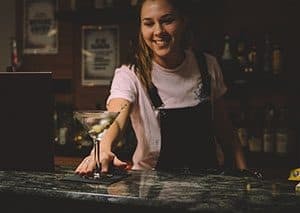 If you are considering taking on a job as a waitress or bar person, here are eight reasons why working in the hospitality industry could be more fun than you expect. The hospitality industry is challenging at times. There is a lot to learn and a steep learning curve if you have never worked in hospitality before. Many workplaces are high-pressure and unforgiving if you make mistakes or don’t pick up the requisite skills quickly, but if you have a great employer, you will receive the right hospitality training and be mentored until you find your feet. There is no other industry that offers as many opportunities to learn new skills. From dealing with difficult customers to mixing awesome cocktails, you can learn a host of skills that will stand you in good stead for the future. The more creative and confident you are, the better. If you don’t have too many friends right now, you will once you start working in hospitality. The hospitality industry is like one big happy family. Many people might move from one hotel or restaurant to another every few months, so they soon get to know one another. Since many people working in this sector are aged between 17 and 22, you will be working with people just like you. Many of you will be university students, so there is always plenty to talk about during and after your shifts. The people you bond with during hectic shifts tending the bar or serving customers on Christmas Eve often become friends for life. You share the good times and the bad times. These shared experiences will help you stay friends even after your lives diverge over time. It’s not easy to find the time to socialise when you and your friends work in different industries, but when you work in hospitality, it is common to socialise after work. Once you start work in the hospitality industry, expect to have an excellent social life. Even if you finish work past midnight, the night is still young and there is plenty of time to have a few drinks before the next shift. It’s all part of the fun! Working in hospitality gives you the opportunity to meet a wide range of people of all ages, backgrounds, and nationalities. You may even get to meet a few famous faces! If you love to meet people, this is the industry for you. You might not like everyone you meet and there will be difficult customers at times, but most of your customers are going to be great, so make the most of this wonderful opportunity. You never know, you might make some useful contacts for a future career, or even score a new job because of some excellent service! There is no doubt that the skills you gain in the hospitality industry are eminently transferable. It might not seem like it at the time, but being able to mix a range of delicious cocktails or deal with a tetchy customer is going to stand you in good stead for the future. Many industries love candidates with experience of hospitality, as it means they are likely to have excellent customer service and “people” skills. Use the skills you gain working in hospitality to beef up your resume when you apply for a job in retail, administration, or HR. Don’t forget also that managers need excellent customer service skills, so this could be your springboard into a management position in any industry. 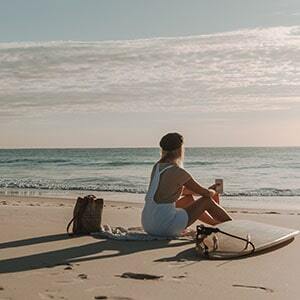 Don’t forget also that if you have plans to travel overseas – and many Australians are eager to explore the world – you can take the skills you learn in your home country and use them to secure a job on your travels. So, working behind a bar in Melbourne could help you land a job pulling pints in London or mixing cocktails in Berlin. The beauty of working in hospitality is that it is very flexible. For this reason, hospitality is very appealing to students. It’s easy to fit a part-time waitressing job around your college or university course. You can take as many or as few shifts as you like. Working in a conventional job means you are tied to a 9-5 schedule. You can’t hit the beach on a hot day because you have to go to work. It’s no fun waking up and reading about how your mates are all off to Byron Bay for a lazy day of surfing or sunbathing. But, if you work in hospitality, you can fit your leisure time around your shift patterns, which are likely to be flexible. A job in hospitality is the perfect opportunity to enjoy a good life balance. Of course, you can take on extra shifts if you need the cash and it’s super busy, but you are also free to swap shifts or book time off to suit your lifestyle. Doesn’t that sound like fun? The Australian hospitality industry is growing year on year. There are new hotels, restaurants, wine bars, coffee shops and cafes opening all the time. There are always jobs available for talented, highly-skilled individuals, so if you need work, it won’t be difficult to find an employer willing to take you on. You might not want to work in hospitality forever, but it gives you a measure of job security. Whatever else is going on in your life, you will never have a problem finding paid employment. Job security is linked to happiness, so start working in hospitality and you never need to worry about being out of work. It isn’t all a bed of roses in the hospitality industry. You will often be required to work long shifts and deal with rude customers, but the benefits far outweigh the negatives. Most people who work in the sector enjoy their job, love their hospitality friends, and are grateful for the many opportunities this type of job as given them. Even if you only work in hospitality for a few months, you are bound to have fun and make new friends. So, why not give it a go?